More and more people these days are ditching machines and weights in favor of using their own body weight for resistance. When they do, they quickly discover that what seems at first like a minimalist approach actually opens them up to a world of options. You can train with your body at home, in a gym, or in a park. It can help you add muscle, build strength, change your body composition, and address all types of weaknesses. From the professional athlete to the strength-training newbie, bodyweight training offers something for everyone. In this edition of Ask Al, I'll be digging into my virtual mailbag to field your questions on everything from improving your posture with bodyweight training to tackling outdoor calisthenics in the dead of winter. Let's dig in! I've got hunchback posture. Can you suggest something for me? Poor posture is often attributed to tightness in the chest and weakness in the middle and upper back. So to combat it, you'll need a combination of strengthening and opening. My favorite bodyweight exercises to combat these issues are the Aussie pull-up and the back bridge. The Aussie pull-up (aka the bodyweight row) is a great exercise to target the muscles of your middle back. Get down under a bar that's about waist high with your legs extended so you form a straight line from your head to your heels. Grip the bar tightly and brace your entire body, then pull your chest toward the bar, squeezing your shoulder blades together at the top. Lower back down and repeat, being mindful not to bend your hips. The Aussie pull-up (aka the bodyweight row) is a great exercise to target the muscles of your middle back. If the standard Aussie pull-up is too difficult, you can modify the move by bending your knees, which will shorten the length of your body, placing less of your weight in your arms. In addition to improving your leverage, bending your knees will also allow you to press into the floor with your feet if you need to assist your upper body. On the other hand, if you want to make Aussies more challenging, try elevating your feet, which will place more of the weight in your arms. The bridge family of exercises addresses both common causes of poor posture by providing a powerful stretch for the chest and shoulders while simultaneously strengthening your back muscles. If you lack the mobility to press into a full bridge (as folks with poor posture often will), you can utilize a milder bridge variant. A couple of great ones are camel pose, which starts from a kneeling position, or the table-top bridge, where you keep your knees bent to 90 degrees with your arms coming straight down from your shoulders. The bridge family of exercises addresses both common causes of poor posture by providing a powerful stretch for the chest and shoulders while simultaneously strengthening your back muscles. Whichever variation is right for you, try to practice it daily, holding the posture for 30-60 seconds at a time, several times throughout the day. As you strengthen the muscles of your middle back and improve your mobility, you should start to see postural improvements as well. What is a good bodyweight substitute for shrugs? 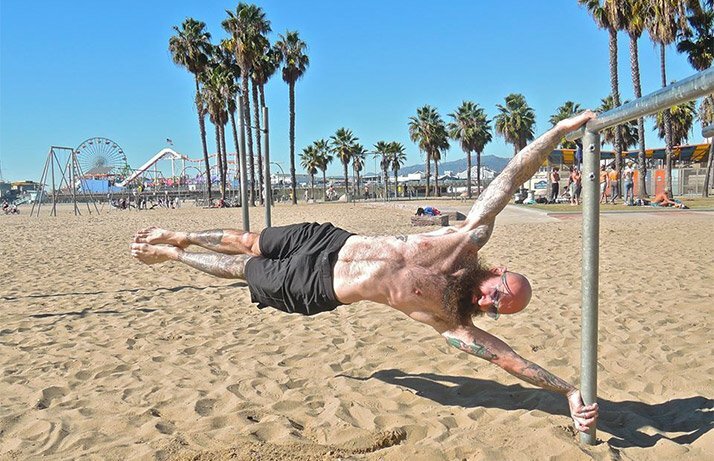 If you are looking to target your traps with bodyweight exercise, look no further than the handstand. 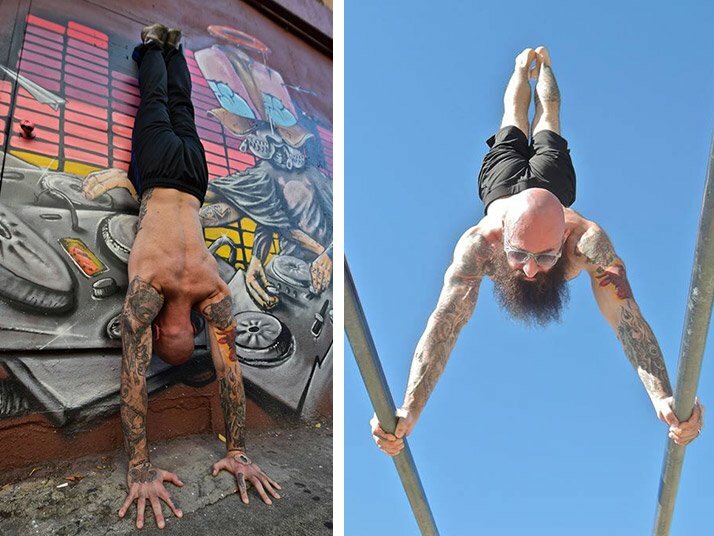 Think about it: When you perform a handstand, you are essentially pressing and shrugging your entire body. Imagine holding a barbell loaded with your body weight locked out overhead and your shoulders shrugged toward your ears. Think that might hit your traps? 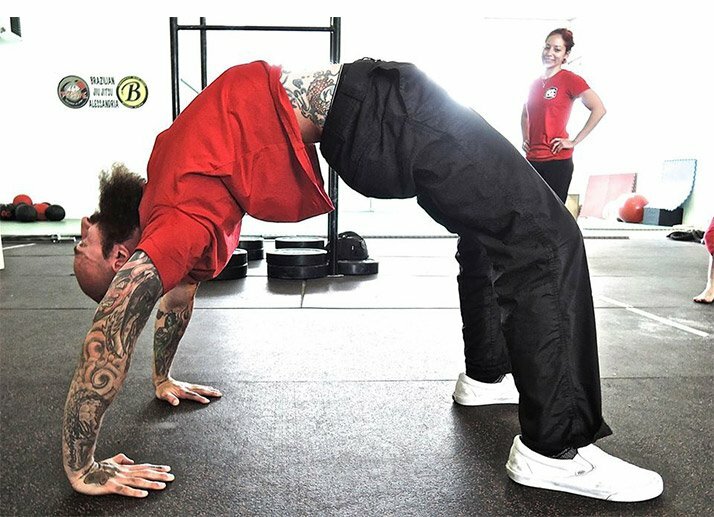 If you are looking to target your traps with bodyweight exercise, look no further than the handstand. Though the freestanding handstand is the ultimate goal, if you don't have the balance yet, I recommend practicing your handstand against a wall. In fact, if you really want to target your traps, you should practice handstands facing the wall rather than doing them with your back to it. Get into position by starting in a plank and walking your feet up the wall while you gradually crawl your hands back toward it. Get your palms as close to the wall as possible while lengthening your entire body and pressing the ground away. When you've gotten as close to the wall as you can, actively shrug your shoulders and hold the position for time. The closer you can get to the wall, the more you will feel it in your traps. I'd like to continue training outdoors in cold weather. Can you suggest what to wear on cold, windy, or rainy days? The great thing about working out in the cold is that if you wear enough layers and keep moving, you won't notice that it's cold out. I recommend wearing several layers to start; as you warm up, you can begin to remove some clothing. Also, when I train in the cold, I tend to focus on exercises that I can perform more reps of, so I won't need to take as much rest. I will often do circuit workouts where I alternate between upper-body and lower-body exercises. Both of these things allow me to keep moving, which helps me keep warm. Isometric holds like planks and L-sits also help generate body heat. On the other hand, moves that require a lot of mobility or place a great deal of emphasis on a single joint, like the back bridge and single-arm pull-up, respectively, are usually better kept to warmer circumstances. What's better for bodyweight training: more sets of fewer reps, or fewer sets of more reps? Both of these training methods will make you stronger and promote muscular growth, but the emphasis will be slightly different. Conventional wisdom says that performing 5 sets of 5 reps at a higher intensity will place more of an emphasis on strength, while performing 3 sets of 15-20 reps at a moderate intensity is better for growth. However, the strongest, most muscular people tend to be able to perform well across the board. I assure you, the same folks who are performing single-arm pull-ups and human flags are also capable of 20 pull-ups in a single set. 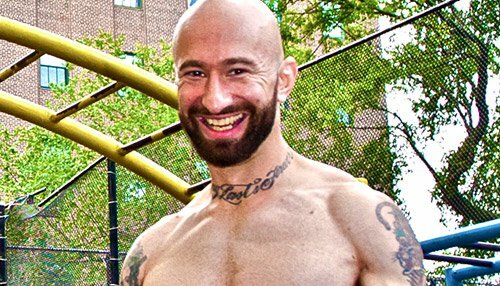 The idea that strength and endurance are on opposite sides of the spectrum is not always applicable in the world of calisthenics. I assure you, the same folks who are performing single-arm pull-ups and human flags are also capable of 20 pull-ups in a single set. In short, it doesn't matter much which type of program you use as long as you train hard and are consistent with your workouts. All the rep ranges have their place, so don't feel you have to limit yourself. That's all for now! If you have questions for me, leave them in the comments below. I will do my best to answer you next time! For more information, check out Al's book and DVD, "Raising The Bar." Go Now!